I love the card Tina. How are you? are u in count down> I have been thinking about you. 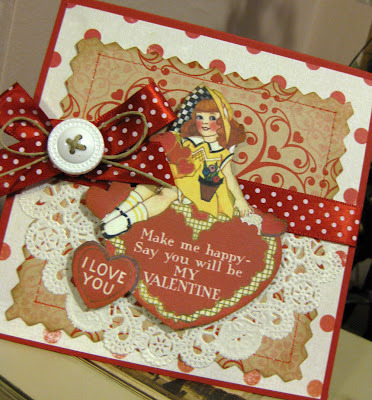 Love the vintagey look of your card!! All the details are fabulous and the colors are so pretty!! 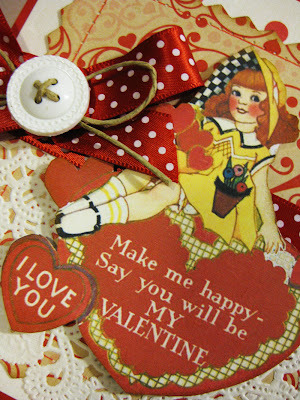 I just adore Valentine cards and I thought of that with this photo as well!! Neat vintage card...love all your details, too! Oh my goodness....what an enchanting, happy, sweet little card...I just love every inch of it. Thank you so much for playing along.